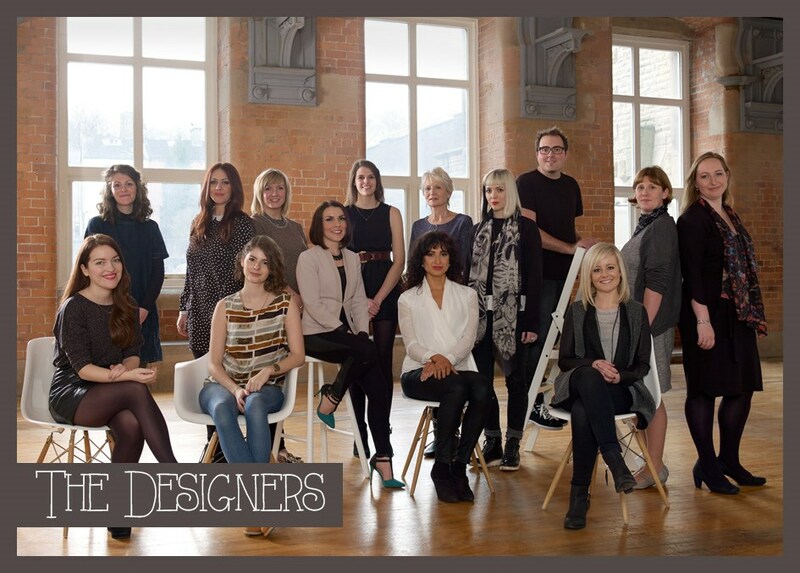 Here's the Designers from Graham & Brown's New Wave wallpaper collective. Looking at her exquisitely detailed Foxglove design, it’s probably no surprise to learn that Lucinda Abell is a practising fine artist. The meticulous flowers, with their tiny interspersed bees, are evocative of historical botanical illustrations, yet the lemon and lilac colour palette and play on scale through the repeat bring the design bang up to date. ‘The paintings of foxgloves and bees in a trompe l’oeil style are inspired by the idea of bringing the garden into the home,’ she says. A fashion graduate, Abell went on to study Printed Textiles at the Royal College of Art and now creates textile designs for both interior and fashion clients. 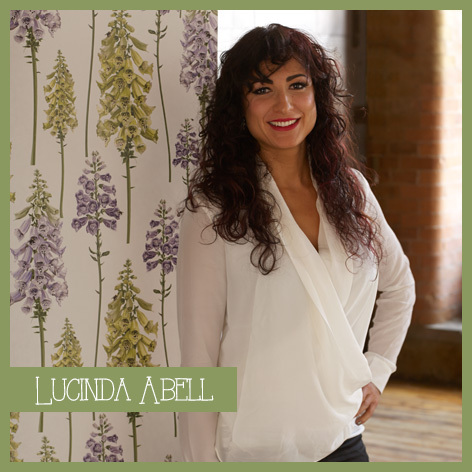 Lucinda is based in Crewe, Cheshire. Emma J Shipley’s design career got off to a flying start when the legendary fashion boutique Browns snapped up her Royal College of Art graduate collection of printed scarves. She went on to win Emerging Fashion Brand at the WGSN Global Fashion Awards in 2013. Shipley is the third designer to have come up with two prints for the New Wave Collective. Her flowing, botanical Paradisi I and Paradisi II designs started life as meticulously detailed pencil drawings, part-inspired by the Arts & Crafts designs of William Morris. ‘The designs are a modern take on traditional Arts & Crafts patterns, given an exotic and surreal edge,’ she says. In Shipley’s hands, this translates as hummingbirds swooping between leopard-print butterflies and cheetah-spotted leaves. Intricate in execution, the slightly subversive monochrome designs also have an utterly timeless sensibility. Emma is based in Hackney, London. 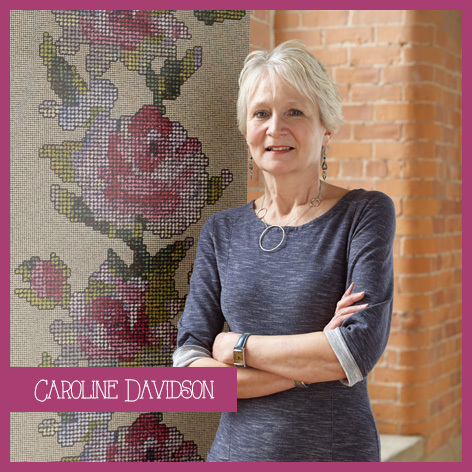 Caroline Davidson taught textiles for nearly 25 years before setting up her Suffolk-based business, Fruit Farm Fabrics. Her parents had owned a handmade lampshade manufacturing business and she puts her belief that, ‘High quality design is the basis of everything beautiful,’ down to their influence. Caroline is based in Bury-St-Edmunds, Suffolk. 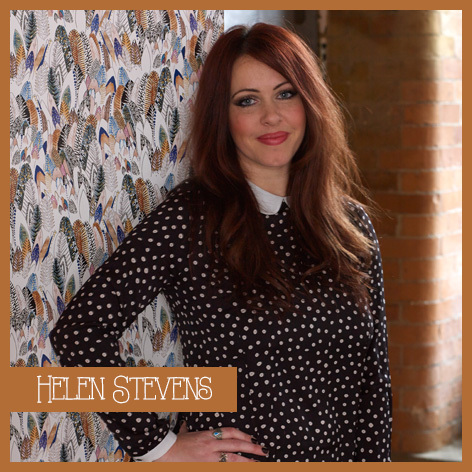 Helen Stevens runs a design studio, Surfacephilia, which produces her collections of wallpapers, fabrics, cushions and bone china, as well as creating surface patterns for other brands. She describes her work as ‘bohemian’ and her ornate style of pattern-making is down to her technique of building up layers upon layers of intricately drawn, painted and photographed images and textures. Her wallpaper, Feather, perfectly encapsulates her detailed design approach and was inspired by her interpretation of British pattern as a mix of, ‘British heritage, period styles, craftsmanship and the rural environment.’ She started by trialing designs based upon the countryside, historic buildings and wildlife, before settling on her vibrant feather pattern. ‘My palette is usually pretty tonal, so I jazzed it up a little using bright pops of colour,’ she explains. The resulting wallpaper is a flexible pattern that would work happily anywhere from a cottage snug to a gentleman’s library. Helen is based in Middlesbrough, North Yorkshire. Jessica Hogarth is a 25-year-old illustrator, whose exquisite hand-drawn work is inspired by the buildings and seascapes of her native North Yorkshire. Her compositions typically depict images of daily life and she gives them their distinctive edge by digitally scanning her original black and white illustrations to which she adds her bold colour palettes – think a modern take on 1950s picture books. ‘My Yorkshire upbringing has always played a big part in my work, so for this special collaboration I wanted to keep my focus on my roots,’ says Hogarth. 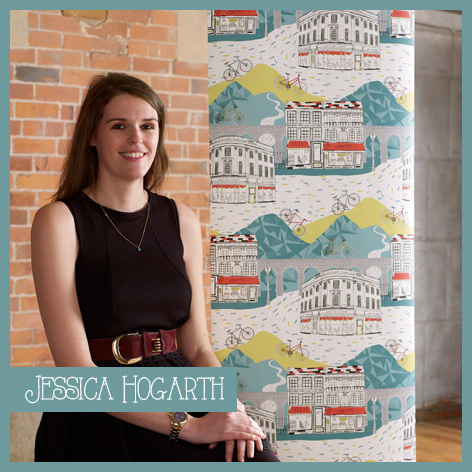 Taking the news that the Tour de France is heading to Yorkshire in 2014, Hogarth created her pattern, Tour de Yorkshire, which combines illustrative hilly landscapes and market-town buildings with graphic bicycles. ‘I wanted my design to have elements that really reference Yorkshire, whilst including fun drawings that contribute to a conversational print that can be enjoyed by many. Jessica is based in Whitby, Yorkshire. An alumnus of Leeds College of Art, Louise Tiler has already won awards for her hand-drawn and hand-painted designs. 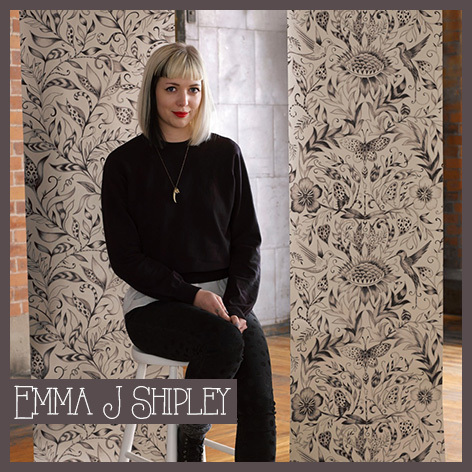 Inspired by historical textiles and vintage patterns, her intricate work has featured on wallpapers, textiles, greetings cards, kitchenware and ceramics, both through her eponymous own label and with other design companies. On first glance, the lilac butterflies on her Urban Tree wallpaper seemingly wend their way through a fantastical fairy-tale landscape. On closer look, it becomes clear how Tiler has cleverly combined both natural and urban pictorial elements in a way that is unexpected, yet beautifully balanced. This is exactly the effect she was looking for, as she explains, ‘My wallpaper reflects the blend of natural and urban environments that have to coincide in today’s modern habitats and city environments.’ The print also reflects her interest in using double-exposure photography as a creative technique, as well as her love of nature. 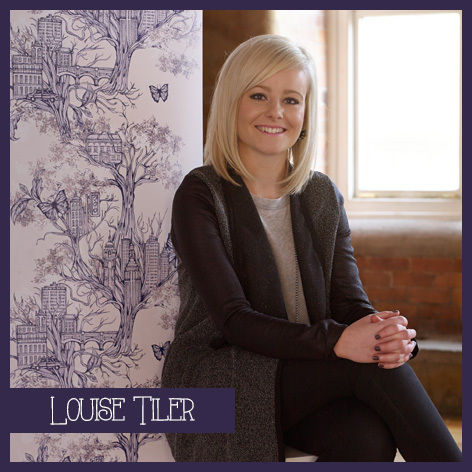 Louise is based in Saltaire, Yorkshire. Kate Usher graduated from Cleveland College of Art and Design just a month before having her second child. 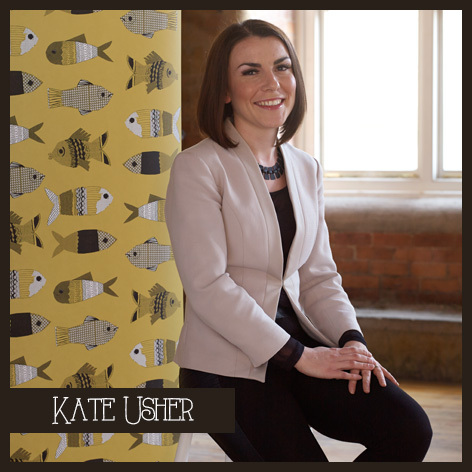 She launched her boutique wallpaper brand thanks to a start-up scheme created by Wayne Hemingway and Gateshead Council and has gone on to exhibit at some of the UK’s key design shows. Kate is based in Newcastle, Tyne and Wear. Nancy Straughan cites the motifs seen on 1950s and Scandinavian textiles as one of her key design influences. With a focus on sustainability, the London-based textile designer makes homewares and accessories from her own range of organic printed fabrics under her label, Nancy Straughan Printed Textiles. Combining these design influences with an in-depth look at organic textures and dyes, Straughan collected, dyed, photographed and scanned a plethora of natural objects, ‘Until I had a collection of wonderful textures to use in my designs.’ She then used these textures to create two sophisticated minimalist prints, Coffee Bean and Coffee Stripe, which have the subtlest hint of the homespun about them. The two patterns embody both her modern-retro signature and interest in the natural world. ‘I hope my designs successfully combine natural textures and simple motifs, and reflect British pattern design at its best,’ she says. Nancy is based in London. 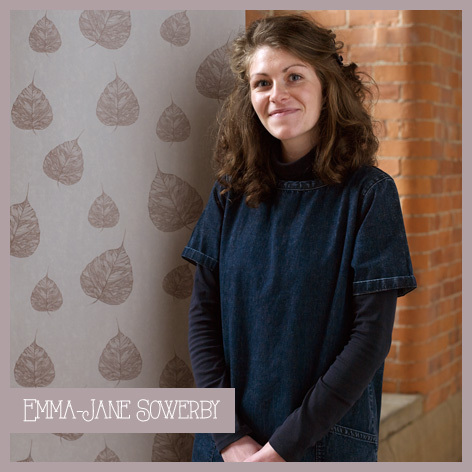 Emma Jane Sowerby is an illustrator who specialises in wallpaper and fabric design. She achieved early success after graduating when one of her wallpaper designs won the Timorous Beasties award last year and went on to be exhibited at the House of Lords. Sowerby’s signature work is strongly influenced by the forms and colour palette of the natural world. Her pared-back design, Fossil Leaf, took shape after a summer trip to the Jurassic coast in Dorset, which is famous for its fossils. ‘I was inspired to research into fossils and discovered the beautiful textures and forms of plant fossils,’ she says. The resulting motif has a delicate subtlety which gives it a classic quality. Lizzie is based in London. 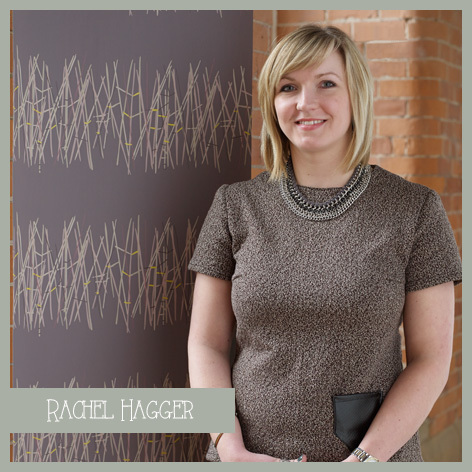 Darlington-based, Rachel Hagger combines teaching art and design with creating award-winning wallpaper prints. ‘As a designer I enjoy playing with line and shape and how I can layer drawings to create quite abstract designs,’ she says. Rachel is based in Darlington, Durham. Alien Crowd, the resulting wallpaper based on Graham & Brown’s Ennis design, is witty and warm and allows those of us who might not own skateboards to enjoy Munday’s bold, graphic work. 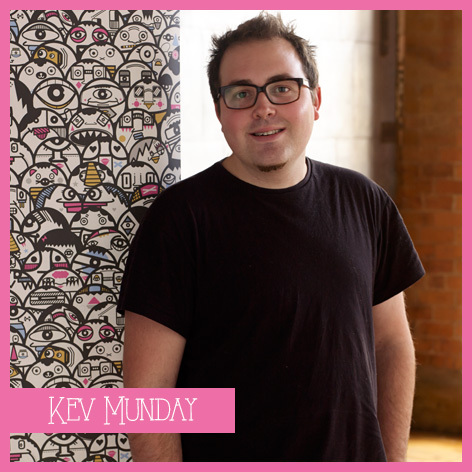 Kev is based in Basingstoke, Hampshire. and weaver, Kathy Schicker, and graphic designer, Kathryn Pledger. The pair pooled their respective industry experience and talents in 2013 to create a studio that specialises in surface pattern designs for digitally-printed products. Their design, Honeycomb, is intended to draw attention to the rapid decline of the honey bee. ‘As bees play such a fundamental part in the function of the natural world, we aim to use design to raise awareness of their plight,’ they explain. Rendered in the perfect pollen yellow, the two say the design, derived from our close-up image of natural honeycomb with sunlight shining through. 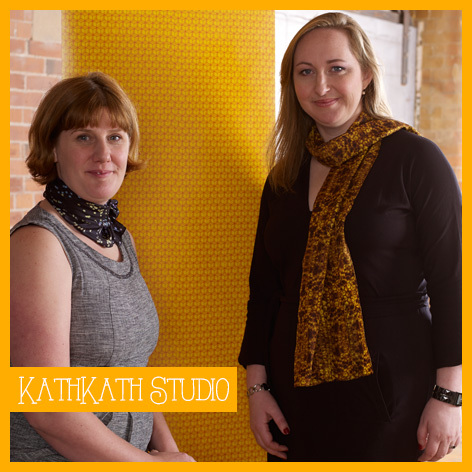 KathKath Studio is based in Camberwell, London. To read more about the New Wave Collection.